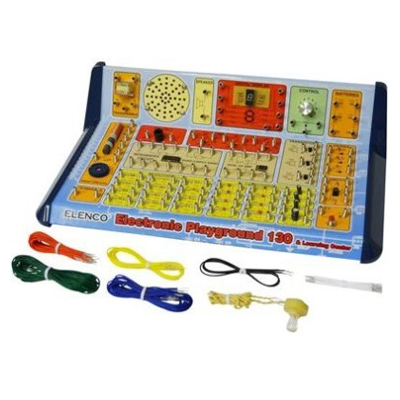 Learn the basics of physics, electricity, magnetism and electronics. Build your own electronic lab. 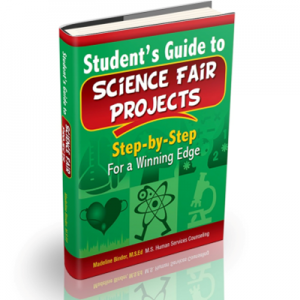 You will receive a 162 page manual with very easy step-by-step diagrams on how to do 130 projects and experiments. All terms are defined and parts are illustrated. 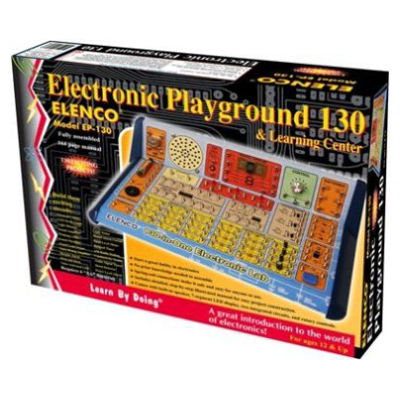 226 parts are included. The multimeter gives you the ability to expand your projects and experiments. Do you know someone who is a big mouth? Or have you ever been called one? 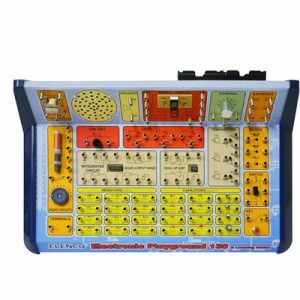 Well, now you can design a schematic that will test you and your friends to see who has the biggest mouth (you know, the one that has the loudest voice). Use a variable R-C Oscillator to see chihc combination gives you the highest tone? The lowest? What will this tell you about how capacitors and resistors affect each other? What happens if you invert a two-power supply amplifier? With a voice activated LED you will be able to test what makes a comparator’s output level low or high. What is the best schematic to determine the various levels of water?